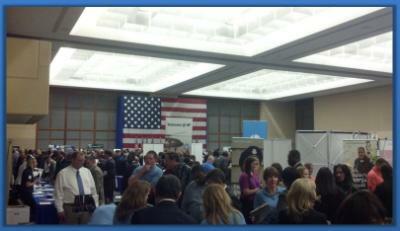 Hello and Welcome from the HP Veteran Staffing Program! One of the greatest joys in recruiting is the feeling of making an impact in someone’s life by providing them with a great career. In my opinion, that same feeling of pride and impact is doubled when that new hire is a military veteran. At HP, we’ve made it a company-wide initiative to work harder at hiring veterans. Since launching a dedicated, focused effort in attracting and hiring military veterans this time last year we have experienced great strides! We’ve accomplished a number of tremendous things in a short time and continue to drive forward to hire military veterans. 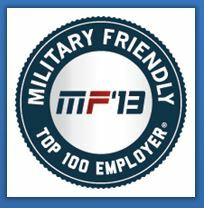 HP has been named to the GI Jobs Top 100 Military Friendly Employers list for 2013. We’ve joined the 100,000 Jobs Mission to work with other top companies in a group effort to hire veterans, share ideas and leverage best practices across industries with a collective goal of hiring 100,000 veterans by the year 2020. HP has joined the Army PaYS (Partnership for Youth Success) to help align future Army Soldiers with interviews at HP when they complete their enlistment. We’ve signed the Employer Support of the Guard & Reserve’s “Statement of Support” to solidify our commitment to providing for and taking care of our Guardsmen and Reservists. We’ve launched a Veteran Employee Resource Network, to bring together our veteran employees and provide mentoring, career growth, and social impact events. Most important of all though, is keeping the focus on where it needs to be and that is on you, the veteran. All the activities and efforts that we do, the organizations we align with, the places we as a Recruiting Team visit – is about helping you, the veteran, understand where you fit inside HP and how to create a productive and rewarding career. Inside the Veteran Staffing Program we strive to provide a welcoming, positive experience for you when exploring opportunities at HP. When you see HP at many of the job fairs for veterans or on military bases at the Transition Assistance classes, we are there to showcase the variety of careers at HP and how they apply to you. With the diverse business portfolio and global presence, there is a career here that is relevant to nearly every skill you learned while in uniform. We aren’t going to simply tell you how to apply to a job, we are going to show you WHY you want to work at HP and why HP wants you. To close, I’d like say how exciting it is to be leading the charge to bring military veterans into the HP ranks. I’m looking forward to being able to share information with you on a regular basis here so come back each week to see what military bases and events we can meet you at and tips and insights into finding the right career for you here at HP.